As one of its commitment to support development programs for its employees, the Human Resources Department of HAMBURG Trading initiated a seminar-workshop on Stephen Covey’s 7 Habits of Highly Effective People on July 14 and 21, 2018 at the HAMBURG Cafeteria. HR Manager Emmalyn “Apple” Palconete conducted the 2-day seminar. All employees of HAMBURG including the drivers, messengers, managers, and top management participated in the workshop. On the first day of the workshop, Habits 1, 2, and 3, were discussed. Habit 1 is about being proactive. Habit 2 is all about having a plan and Habit 3 discussed the importance of working first, then rewarding oneself after. On the 2nd day of the activity, Ms. Palconete focused more on teamwork and how it can improve group efficiency. She also reiterated that balance and self-reward are crucial ingredients to become an effective individual. 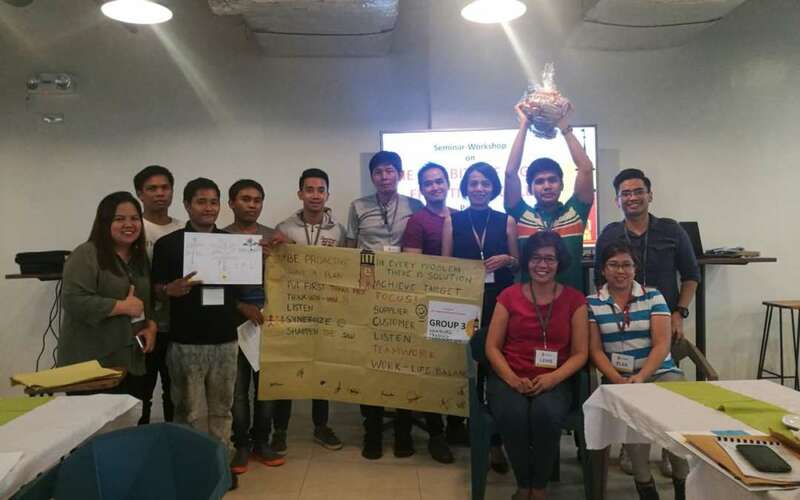 Each day was filled with different activities which gave the employees a chance to know more about their officemates. Utility Supervisor Remedios Samia, who was recently absorbed by the company, agrees with Ms. Tuico-Rona. For her, this is also the most valuable lesson she learned during the workshop. “As much as possible, I apply what I have learned that day to how I work every day. Before, I used to be strong-headed, but these days, I try to always be calm and empathetic towards my co-workers,” she adds. Overall, everyone at HAMBURG learned something from the seminar and these lessons are very important in achieving the goals of the company.